Peter Messerli is Professor of Sustainable Development at the Centre for Development and Environment of the University of Bern (CDE). He is also co-chair of Future Earth’s Global Land Programme (GLP) and co-chair of the UN Global Sustainable Development Report (GSDR). As a land system scientist and a human geographer, his research interests lie in the increasingly globalized and competing claims on land and related transformation processes. 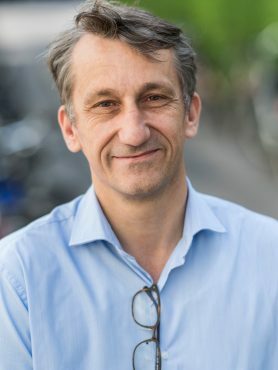 Peter Messerli boasts over 10 years of field experience mainly in Lao PDR, Madagascar, and Ethiopia as well as in other CDE core regions including Southeast Asia, Central Asia, and East Africa. L'accès aux ressources : enjeu central des conflits ?